2016-17 Sponsorship Opportunities Announced! 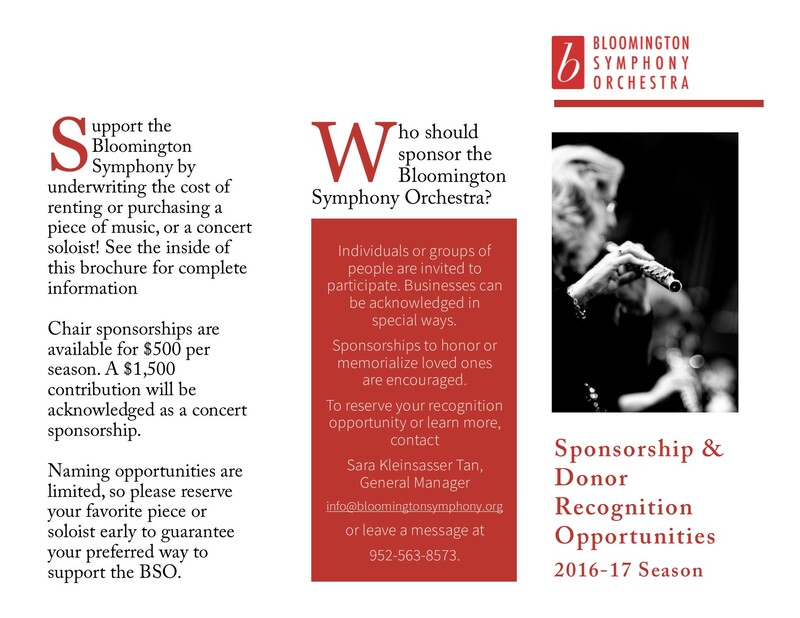 | Bloomington Symphony Orchestra (BSO)| A community orchestra located near the Twin Cities in Bloomington, Minnesota| Musicians | Concert Performances | Classical Music 2016-17 Sponsorship Opportunities Announced! The BSO is supported by members dues, grants from the City of Bloomington and the Metropolitan Regional Arts Council but most importantly, it is supported by people like you! Donations of any amount are gratefully accepted and this year, we are launching a way for you to give and be recognized in a unique way! 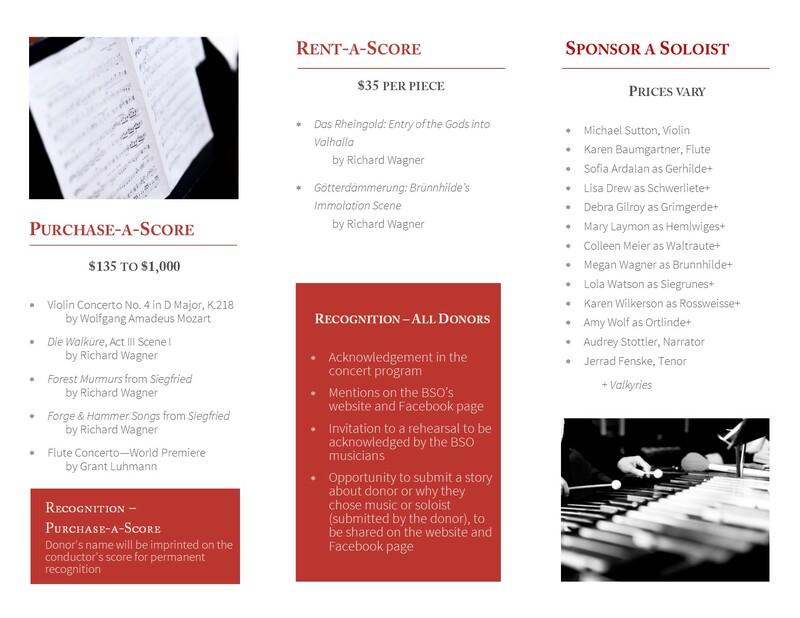 This year, the BSO is offering patrons the opportunity to sponsor the rental or purchase of a piece of music, or to underwrite the soloist fee this season. The opportunities come at a variety of price points and offer many ways to be recognized. Perhaps you have a favorite piece of music or want to honor or memorialize a loved one by supporting the music or a musician. These are great ways to acknowledge your love for classical music! We continue to offer chair and concert sponsorships, both of which help us continue to present concerts with the best soloists, creative programming and excellent musicians. Click on either of the photos to learn more or download the PDF here.